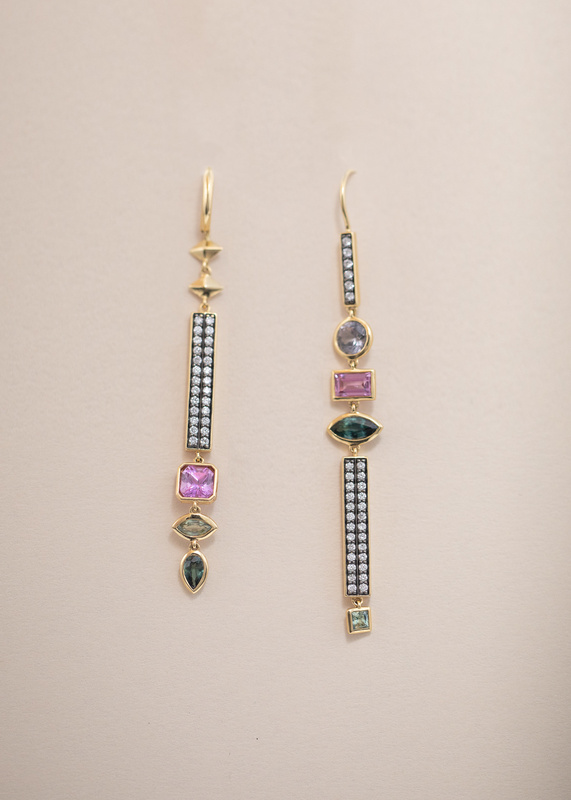 Two mismatched multi stone drop earrings are both flashy and demure at the same time. Stones are diamond, spinel, and sapphire. 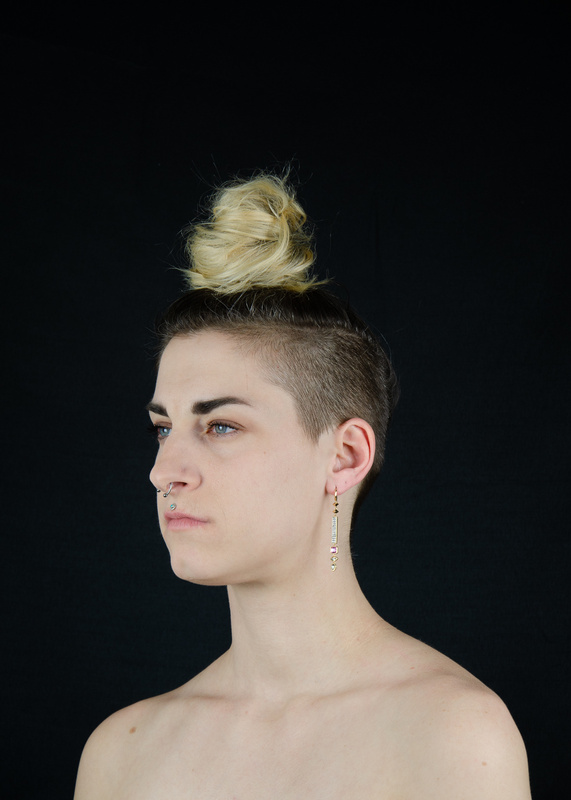 Earrings and hooks are 18 karat gold. Sold as a pair. Handmade in NYC.